Some people find late autumn as a sad period of the year: everything is grey, rainy, cold and very close to a long winter. According to statistics, a lot of people actively struggle with seasonal depression, especially during autumn and winter. In this article, I will share with, you some simple practices that help avoiding depressions. Depression is a well-known struggle in the modern world, especially around these days when we have a lack of sunny and warm days, along with continuous news about economic crises, terrorist attacks, and violence all over the world. For some people, it can be so hard that they might require special medical attention. Nowadays, medicine is very powerful but very demanding. If you start taking some anti-stress medication, it can get hard to stop it, therefore it is much better just to avoid it. 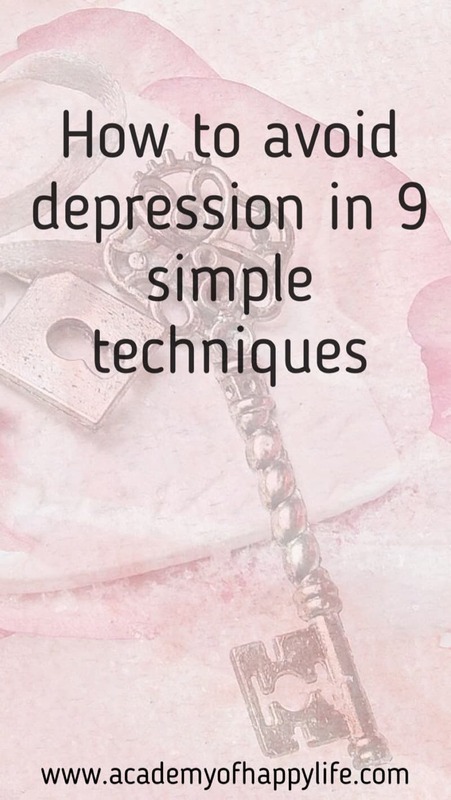 These simple steps will help you diminish the chances to feel depressed. It is so important to get enough sleep every night. According to scientific researchers, there is a very high correlation between good sleep and depression. Lack of sleep can cause depression, and depression can also disturb your sleep. Therefore, try to sleep as much as you need. Generally, 7-8 hours of sleep every night is enough, but it depends on your lifestyle, your age, your habits and how you feel comfortable. If you don’t have the opportunity to sleep enough one night, try to sleep more next night. Continuous lack of sleep causes depression. People who don’t sleep enough have ten times more chances to have depression. 2. Watch what you are eating. I don’t want to tell you how important it is to eat healthy food. I am sure you know what you like to eat and what is good or bad for your body. All of us are smart people who don’t want to cause any harm to our body and our health, especially with food. Try to eat as healthy as you can and minimize your coffee and alcohol consumption during your daily life. Also, minimize adding sugar and salt to your food. Try to eat more fruits, vegetables, nuts, fish which are rich with Omega3. It is so important to boost your immunity during autumn before winter. Usually, only one pill of multivitamin has all necessary vitamins to keep your body healthy. Especially in autumn and winter, there can be a lack of fresh organic fruits and vegetables. The very important and most beneficial nutrients, especially in autumn and winter, are Omega3, Vitamin D and Vitamin C. You can consume more food that is rich in those vitamins, or you can just buy and take supplements, they are available at every pharmacy. Always do your best. Just remember, you are unique, always try to be an amazing and great person. If you can’t change something, just stop worrying about it and don’t continuously blame yourself for something you did in the past and you regret it now. If can’t change it today, it is from the past, don’t worry about it anymore. A lot of people live in the past and waste their present life in yesterday’s memories and thoughts. Live today, be happy today. Do your best today and never blame yourself if something didn’t go as planned before. The best way to protect yourself from depression is to meditate and pray. You can do it in any way you want. Meditation is one of the strongest tools against worries, depression, and sadness. It is not necessary to meditate all day long. Scientists proved that only 10-15 minutes per day can make miracles just in 8 weeks. Actually, it is highly recommended to spend at least 15 minutes a day just for yourself. It can be anything you enjoy the most: shopping, running, thinking, reading, praying, and so on. Anything that relaxes you and gives you more power and inspiration. You need to find your passion, something that will motivate you to wake up every morning. Something that gives you motivation, inspiration, challenge, and self-improvement. If you want to live with passion, you need to find your passion first. It can be anything that self-improve you: some sport or some hobby. 7. Don’t take more than you can handle. If you feel pressure, stress, worry inside you, all those feelings leading to depression. So, don’t take more than you can handle. If you don’t have time to perform some duties, just say “No”. Don’t do something you don’t enjoy or you don’t have time to do. You can’t be in three places at the same time, you can’t satisfy everybody. That “No” in a certain situation will make you much more productive and much happier in life. 8. Share your feelings with someone you trust. It is very important to have someone you can trust and share your worries, feelings, and thoughts with. A person who has some good friends or someone to whom they can truly trust will have less risk to have a depression. If you have something in your soul you need to share, don’t keep it inside, share it with your friend, spouse, parents… One small discussion can sometimes give you the right support to protect yourself from depression. Sometimes one phone call can fix all your inner problems and make you feel much calmer inside. But the most important is that you need to be a good friend to your close people too. If they need to talk, try to find time to listen to them too, they also need your support. It is so important to be grateful in life. When you wake up in the morning, be grateful for your life, for your health, for everything you have in life. People who are grateful in their life have much fewer chances to have depression. Every morning, try to find three things that you are grateful for. Do it for two weeks and you will see what positive changes you will have in your life. First of all, you will be able to notice some more positive moments during your day and you will feel happier. These 9 recommendations are very powerful and easy. They will help you to avoid depression and bad mood, and they will make your life happier. Even if you will have some bad thoughts, just go on, and those steps will help you to go through the tough time. Be yourself, and remember – always do your best! Feel free to share this article with your friends. Help them to go through the hard autumn and winter time. You never know, maybe this article is exactly what they need to read at this time. Just share it on your favorite social media and mention/tag your friends. Thank you! Be happy! Be healthy! Enjoy your life! ← Joke – girlfriend and boyfriend! Nice article. Particularly agree about the sleep. However, depression is an illness that cannot always be avoided. Maybe rethink your heading. Thank you Alicia! All illnesses have their start point and reasons especially depression. I beleive if you follow those simple steps in the beginning, you will not the the illness in the end, so you can avoid it. Thank you so much Regina for the sweet comment! I overcome this depression most times through prayer, meditation and talking to people. Thanks for this wonderful post. You are welcome Rawlings. Thank you for sharing your tips. I agree with you for the most part. I do think there is absolutely just cause to take medication, depending on diagnosis (like in manic depressants, bipolar depressive, etc) where it can be very difficult to manage without help. However, I did actually write a very similar post a couple months ago from a mom perspective. It can be managed, and addictive pills with massive side effects isn’t the only answer to at least helping to alleviate. I’m so glad mental health isn’t a taboo subject anymore, like it was even a handful of years back. I think that alone helps out a giant portion of us. Thanks for posting on it, and shedding additional light! Thank you for your comment Ashley! You are rght, it is so important to write about those topics which are so important for people. Everybody have their point of view and the same as every doctor have different methodics how to treat some desease, there are different methodics and suggestions how to avoid depression. For different people works different suggestions. 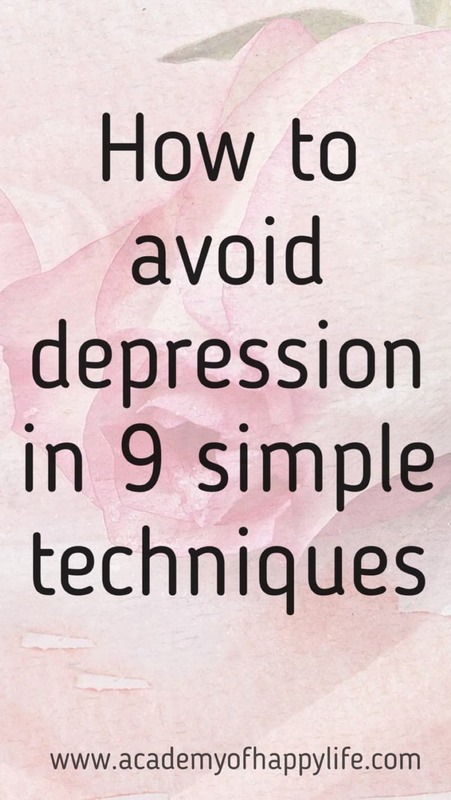 All these tips are paramount if you want to avoid depression especially meditating and praying, which in my opinion are powerful. Thank you for your comment John! Totally agree with you! We should be grateful to god for giving wonderful life…so instead of feeling depressed we should involve in our passion. Totally agree with you Ankit. Unfortunatelly, not everybody beleives in God and feels the same. I meet depressed people more often than people who radiate happiness. I hopw this article will be helpful for them. Thank you for yor comment! Thank you so much for your comment Janie! Totally agree with you, it is very helpful to follow those advies.